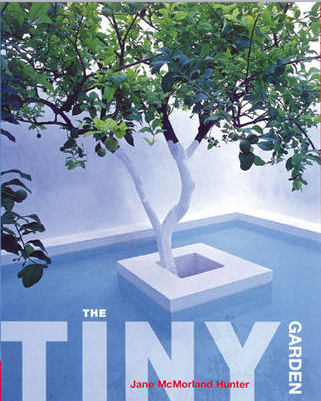 The purpose of this book is to enable you to create a garden space wherever you live. No site is too small. The most important thing to remember is that you are creating a garden and not simply putting a group of pots on the slab of concrete outside your back door. Once you regard the space as a garden the possibilities for it instantly become much greater. The top of the fire escape may only be three feet by six feet but this will easily fit two chairs and three decent sized containers with climbers in and suddenly you have created an attractive outdoor space. Gardening on a very small scale can be surprisingly easy once you have carefully considered what you want. Small is relative, a country garden of an acre may seem small to some people and almost all town and suburban gardens are considered small. In many ways the gardens in this book are non-existent, they are the passages, stairways, window ledges and flat roofs surrounding the house. In other words the leftover spaces which frequently are ignored or used as a dumping ground. This need not be the case, any area which sees the sky can be converted into a garden. Provided you choose your plants carefully it need not even see any sun. Designing a small garden is much easier than you might think, much of it is based on common sense and in many ways is no more difficult than arranging a room or set of shelves. The advantage of a small garden is that it will not take much time or effort to keep all of it looking perfect. Do not be bound by conventional constraints if you want an original theme, it is your garden and should please you. If you looked at the gardens behind twenty identical houses on an estate they would vary enormously and this is part of the charm of gardening.